After the death of a patient during childbirth Sanger decided to devote her life to making reliable contraceptive information available to women. She published the Birth Control Review and persuaded Lou Rogers and Cornelia Barns to be co-art editors of the journal. The main theme of her articles was that "no woman can call herself free who doesn't own and control her own body." After advice about birth-control appeared in her newspaper in 1915, she was charged with publishing an "obscene and lewd article". Ernest Gruening, the editor of The Nation, was one of Sanger's greatest supporters and joined her campaign to distribute birth-control literature. When Patrick Hayes, the Archbishop of New York, condemned Sanger's attempts to hold a meeting in the city on the subject, he commented that "I am confident that in this great city of ours the majority of the women are too pure, clear-minded and self-respecting to want to attend or hear a discussion of such a revolting subject." Margaret Sanger died in Tucson, Arizona, on 6th September 1966. My own motherhood was joyous, loving, happy. I wanted to share these joys with other women. Since the birth of my first child I had realized the importance of spacing babies, but only a few months before had I fully grasped the significant fact that a powerful law denied and prevented mothers from obtaining knowledge to properly space their families. During these years in New York more and more my calls began to come from the Lower East Side, as though I were being magnetically drawn there by some force outside my control. I hated the wretchedness and hopelessness of the poor, and never experienced that satisfaction in working among them that so many noble women have found. My concern for my patients was now quite different from my earlier hospital attitude. I could see that much was wrong with them that did not appear in the physiological or medical diagnosis. A woman in childbirth was not merely a woman in childbirth. My expanded outlook included a view other background, her potentialities as a human being, the kind of children she was bearing, and what was going to happen to them. As soon as the neighbors learned that a nurse was in the building they came in a friendly way to visit, often carrying fruit, jellies, or fish made after a cherished recipe. It was infinitely pathetic to me that they, so poor themselves, should bring me food. Later they drifted in again with the excuse of getting the plate, and sat down for a nice talk; there was no hurry. Always back of the little gift was the question, "I am pregnant (or my daughter, or my sister is). Tell me something to keep from having another baby. We cannot afford another yet." I tried to explain the only two methods I had ever heard of among the middle classes, both of which were invariably brushed aside as unacceptable.. They were of no certain avail to the wife because they placed the burden of responsibility solely upon the husband - a burden which he seldom assumed. What she was seeking was self-protection she could herself use, and there was none. Pregnancy was a chronic condition among the women of this class. Suggestions as to what to do for a girl who was "in trouble" or a married woman who was "caught" passed from mouth to mouth - herb teas, turpentine, steaming, rolling downstairs, inserting slippery elm, knitting needles, shoe-hooks. (3) It was the death of Sadie Sachs that convinced Margaret Sanger to devote her life to making reliable contraceptive information available to women. She wrote about the death of this woman in her autobiography published in 1938. Then one stifling mid-July day of 1912 I was summoned to a Grand Street tenement. My patient was a small, slight Russian Jewess, about twenty-eight years old, of the special cast of feature to which suffering lends a madonna-like expression. The cramped three-room apartment was in a sorry state of turmoil. Jake Sachs, a truck driver scarcely older than his wife, had come home to find the three children crying and her unconscious from the effects of a self-induced abortion. He had called the nearest doctor, who in turn had sent for me. Jake's earnings were trifling, and most of them had gone to keep the none-too-strong children clean and properly fed. But his wife's ingenuity had helped them to save a little, and this he was glad to spend on a nurse rather than have her go to a hospital. The doctor and I settled ourselves to the task of fighting the septicemia. Never had I worked so fast, never so concentratedly. Jake was more kind and thoughtful than many of the husbands I had encountered. He loved his children, and had always helped his wife wash and dress them. He had brought water up and carried garbage down before he left in the morning, and did as much as he could for me while he anxiously watched her progress. After a fortnight Mrs. Sachs' recovery was in sight. As I was preparing to leave the fragile patient to take up her difficult life once more, she finally voiced her fears, "Another baby will finish me, I suppose?" "It's too early to talk about that," I temporized. But when the doctor came to make his last call, I drew him aside. "Mrs. Sachs is terribly worried about having another baby." "She well may be," replied the doctor, and then he stood before her and said, "Any more such capers, young woman, and there'll be no need to send for me." "I know, doctor," she replied timidly, "but," and she hesitated as though it took all her courage to say it, "what can I do to prevent it?" The doctor was a kindly man, and he had worked hard to save her, but such incidents had become so familiar to him that he-had long since lost whatever delicacy he might once have had. He laughed good-naturedly. "You want to have your cake and eat it too, do you? Well, it can't be done." Then picking up his hat and bag to depart he said, "Tell Jake to sleep on the roof." I glanced quickly to Mrs. Sachs. Even through my sudden tears I could see stamped on her face an expression of absolute despair. We simply looked at each other, saying no word until the door had closed behind the doctor. Then she lifted her thin, blue-veined hands and clasped them beseechingly. "He can't understand. He's only a man. But you do, don't you? Please tell me the secret, and I'll never breathe it to a soul. Please!" What was I to do? I could not speak the conventionally comforting phrases which would be of no comfort. Instead, I made her as physically easy as I could and promised to come back in a few days to talk with her again. Night after night the wistful image of Mrs. Sachs appeared before me. I made all sorts of excuses to myself for not going back. I was busy on other cases; I really did not know what to say to her or how to convince her of my own ignorance; I was helpless to avert such monstrous atrocities. Time rolled by and I did nothing. The telephone rang one evening three months later, and Jake Sachs' agitated voice begged me to come at once; his wife was sick again and from the same cause. For a wild moment I thought of sending someone else, but actually, of course, I hurried into my uniform, caught up my bag, and started out. All the way I longed for a subway wreck, an explosion, anything to keep me from having to enter that home again. But nothing happened, even to delay me. I turned into the dingy doorway and climbed the familiar stairs once more. The children were there, young little things. Mrs. Sachs was in a coma and died within ten minutes. I folded,her still hands across her breast, remembering how they had pleaded with me, begging so humbly for the knowledge which was her right. I drew a sheet over her pallid face. Jake was sobbing, running his hands through his hair and pulling it out like an insane person. Over and over again he wailed, "My God! My God! My God!" I left him pacing desperately back and forth, and for hours I myself walked and walked and walked through the hushed streets. When I finally arrived home and let myself quietly in, all the household was sleeping. I looked out my window and down upon the dimly lighted city. Its pains and griefs crowded in upon me, a moving picture rolled before my eyes with photographic clearness: women writhing in travail to bring forth little babies; the babies themselves naked and hungry, wrapped in newspaper to keep them from the cold; six-year-old children with pinched, pale, wrinkled faces, old in concentrated wretchedness, pushed into gray and fetid cellars, crouching on stone floors, their small scrawny hands scuttling through rags, making lamp shades, artificial flowers; white coffins, black coffins, coffins, coffins interminably passing in never-ending succession. The scenes piled one upon another on another. I could bear it no longer. new day in my life also. The doubt and questioning, the experimenting and trying, were now to be put behind me. I knew I could not go back merely to keeping people alive. I went to bed, knowing that no matter what it might cost, I was finished with palliatives and superficial cures; I was resolved to seek out the root of evil, to do something to change the destiny of mothers whose miseries were vast as the sky. (4) As editor of The Masses, Floyd Dell gave Margaret Sanger support in her campaign in favour of birth control. Margaret Sanger had begun her work on behalf on women's freedom from unwanted pregnancies; she renamed the prevention of conception "birth control", and under that name it began to get attention in the newspapers. The propaganda went on under the threatening shadow of a federal statute, passed under the influence of that strange moral monstrosity, Anthony Comstock, which classed such information as 'obscene'. In New York City a woman police spy, pretending to be a wife desperately in need of birth control information, got a pamphlet from William Sanger, as he was arrested. The Masses published articles in defence of him and of Margaret Sanger, and the magazine was immediately flooded with thousands of letters from women, asking for information about the methods of birth control, and giving the best as well as the most heartbreaking reasons for needing such information. These letters, as associate editor, I answered, saying that we were forbidden by law to give the information; then, as a private individual, I carefully turned over all these letters to other private individuals, who mailed this information to the women; and in this law-breaking I cheerfully and conscientiously participated. I believed then, as I do now, that it is a moral duty to violate evil laws. 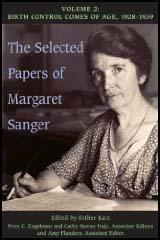 (5) In July 1915, the American birth-control campaigner, Margaret Sanger, met Marie Stopes in London. She wrote about their meeting in her book My Fight for Birth Control. Marie Stopes was then writing a book, Married Love, which was to deal with the plain facts of marriage. She expected it to "electrify" England. She then explained to me that, owing to her previous unfortunate marriage she had no experience in matters of contraception nor any occasion to inform herself of their use. Could I tell her exactly what methods were used? I replied that it would give me the greatest pleasure to bring to her home such devices as I had in my possession. Accordingly, we met again the following week for dinner in her home, and inspected and discussed the French pessary which she stated she then saw for the first time. I gave her my own pamphlets, all of which contained contraceptive information. What I felt, and feel, is that by just being your natural spontaneous self you are giving me so much more than I can hope to give you. You see, I am an extremely odd, reserved, slow undemonstrative person, whom it takes years and years to know. I have two or three very dear friends who date from 20 or 25 years back (and they like me better now than they did at first) and none of recent date. I'm not the least good for gobbling up rapidly - really don't repay the trouble! And I don't feel a bit anxious to be gobbled up, while the gobbler is already unwinding her scarf to wave to someone else! I fear this sounds very rude and horrid and not at all as it is meant. I think we should agree, Dear Twin, on the subject of love. I think that passion is mostly a disastrous thing, and certainly ruinous to work for it makes all work seem of less than no account. And then, too, it's always felt for the wrong person. Indeed its very intensity seems due to a sort of vague realisation of the fact that there's nothing there! But I cannot say that I think that love is anything but good, and good for everything, including work. I mean by love something that is based on a true relationship and that has succeeded in avoiding the blind volcano of passion (or has contrived to pass safely through that stage). To secure the peaceful joyous and consoling and inspiring elements of love - and to escape the others - seems to me a very desirable & precious thing. Do you agree? As you say, the average man and woman usually only knows passion - and not or very often even that! (9) Margaret Sanger described why she joined the Socialist Party in her autobiography published in 1938. A religion without a name was spending over the country. The converts were liberals, Socialists, anarchists, revolutionists of all shades. They were fixed in their faith in the coming revolution as ever any Primitive Christian in the immediate establishment of the Kingdom of God. Some could even predict the exact date of its advent. In the United States a few years earlier( 1915) William Sanger had been tricked into giving a copy of his wife's pamphlet to a government official. He was immediately arrested, kept in jail for two days, sentenced to thirty days imprisonment and fined 150 dollars. The outraged judge told him: "Your crime is not only a violation of the laws of man, but of God as well in your scheme to prevent motherhood .... If some people would go around urging Christian women to bear children instead of wasting their time on women's suffrage this country would be better off." In Britain the Director of Public Prosecutions was uneasy in his mind. The printed slip did not satisfy him. He suspected that people not producing a lot of children might get a thrill out of reading the pamphlet. He summonsed Aldred and Witcop to court to show why "this obscene publication" should not be destroyed. 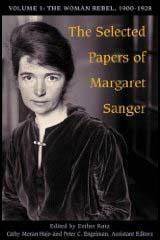 Rose and Guy had known Margaret Sanger since 1914 when she had stayed with them in London. She was then a young nurse whose husband was serving a prison sentence in the United States for writing on birth control. She returned to Britain from the United States in 1920, and spoke with Guy at public meetings in London, and on Glasgow Green. She describes her Glasgow audience in her autobiography: "About two thousand shipyard workers in caps and baggy corduroys (who) stood close together, listening in utter silence, without cough or whisper". In the evening she spoke to a 'Ladies Only' meeting in Bakunin House. 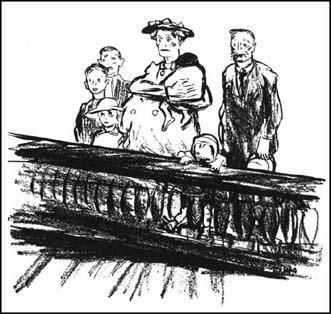 Now, in 1922, she was back in Britain, speaking for the New Generation League, with Bertrand Russell and Guy Aldred among the speakers. The Government was worried. Unemployment was mounting: revolution was smouldering: and now there was this assault on the nation's morals, with notorious subversives selling a sixpenny pamphlet on Birth Control.